4.800×480 graphic 10 inch color LCD Touch Screen. 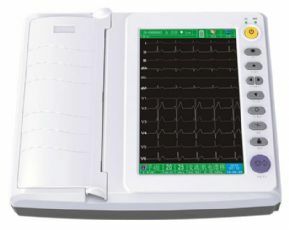 11.USB/RS232 interface ECG software is optional. 12.Can be coonected to Network,USB Disk,Laser Printing and Code Scanner(Optional).